Every month bloggers of Poppins Book Nook bring you books and activities for the theme of the month. August theme is Who Shall I Be When I Grow Up? – a topic that intrigues both kids and their parents. How do we teach our kids about jobs people do and support their interests as they explore different careers in pretend play? Today I want to share two books that describe “the adult world of jobs". Both of them were favorites in our house since daughter was about 3 until she was 7. My daughter spent untold hours pouring over pages of What Do People Do All Day? by Richard Scarry both before and after she learned to read. Even though the book was written many years ago, it offers an entertaining glimpse into how everyday objects are created and how they travel to our homes. I read on Amazon that the version that we have is abridged, but, as the other reviewer said, you won’t notice it unless you knew the original – the book still has a wealth of information in an accessible form for very young children. 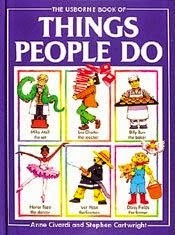 Smarty’s other favorite book was Things People Do by Anne Civardi. This book introduces an imaginary island of Banilla and its inhabitants explaining the role they play in the smooth functioning of their community. This book is wonderful for any community helper or jobs unit, since it continues to link characters together and shows how they all contribute to each other lives. My only discontent with these two books that they did not introduce two occupations that interest my daughter intensely – an inventor and a scientist. We joke sometimes that she is about a century late, because her dream job is to have her own factory that will produce the things that she invents. Sometimes we have very interesting discussions about how she would run her factory, what divisions she would need to have and how she would reward her workers. It’s fascinating to see that she already understands the value of market research (some adults still believe in “build it and they’ll come” approach) and of testing her products before they come to the stores. What exactly her factory will produce remains to be a mystery. Recently Smarty sort of switched in her interests from her factory producing “mechanical gadgets” to becoming a neuroscientists and inventing something related to our senses of taste and smell. This is certainly an interesting (and dangerous!) area of research and we keep reiterating safety precautions (real scientists don’t taste their experiments) even though we didn’t have any incidents with that lately (well, she asked when she wanted to taste something that she was mixing up). Talking about how science and technology changed our lives and how it might change them in the future. At the same time, we don’t want to impose our expectations on her. It’s very possible that her job does not even exist yet. What we want is to encourage is curiosity, exploration, effort, and a sense that there are no “boy jobs and girl jobs” and that she can try anything she is passionate about. 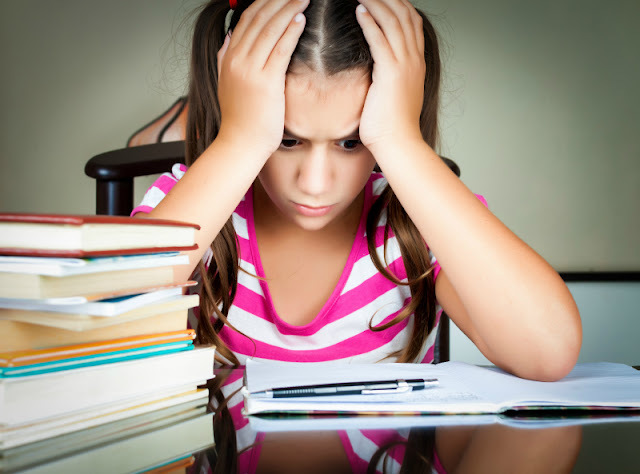 Who do your children want to be and how do you support their interest in this career path? Follow Natalie's board Science on Pinterest. Smarty definitely keeps you on your toes! I am very curious to see what she decides to be when she grows up. With 3D printers, Smarty can have her own "factory" right at home! Maybe she can create the templates and sell them on-line? K and Smarty needs to get together and do some brainstorming. They have similar interests but different strengths which is ideal. Right now, K is working on making a Rainbow Loom swim skirt that "swishes". I just ordered a kit for 4-H National Youth Science Day. I love the "Rockets to the Rescue" idea. Unfortunately not every idea they bring home is a good one, but they are definitely all good opportunities for reflection! 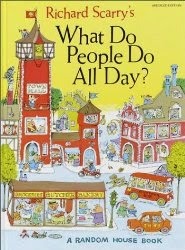 That Richard Scarry book is in our regular rotation with our 5-year-old. It's awesome (well really, all his books are)! Your discussions with Smarty about being an inventor and having a factory reminded me of the book, The Toothpaste Millionaire. I led a book club in my son's 3rd grade class and got to read it and guide discussion. If Smarty hasn't already read it, you might want to check it out. Oh gosh, 3D printers would be a great thing for her. Another one I just thought of that she might enjoy watching is Shark Tank. We've watched that occasionally with the kids and it's sparked interesting discussions about the items the people want to make and sell. Yes, Smarty needs 3 d printers! She really could have her own factory that way.